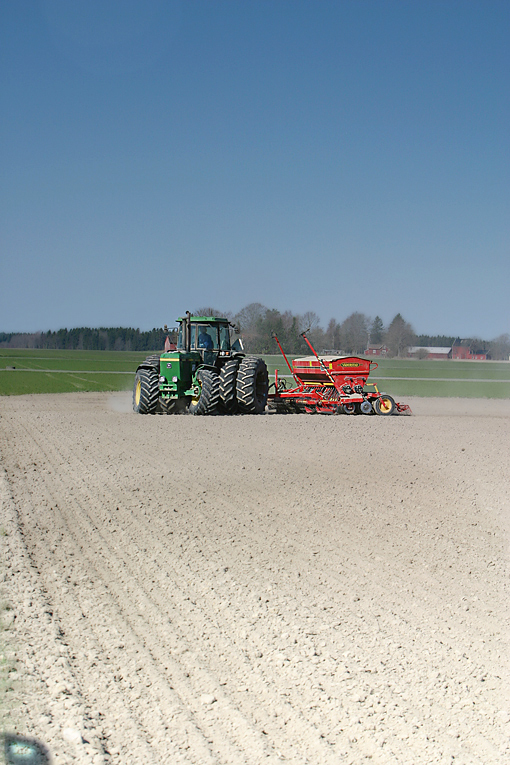 In Mellerud, you’ll find both industry and well-developed agricultural and forestry sectors. Combined, they form the basis for a diverse industry with more than 700 active businesses. Tourism is growing proportionally as the establishment of new structures for, for instance, holiday homes, golf, boating, swimming and fishing takes shape. Apart from this, the municipality has fascinating points of interest such as the aqueduct in Håverud and the Dalsland Canal. Because of the increase in visitors, trade is on the rise as well. A former paper mill in Åsensbruk provided all conditions that Bonnier Digital required for establishing themselves here, amongst others electrical power and broadband capacity. A large plant has been constructed here already, for supplying technical solutions for internal internet hosting for the Bonnier Group. Most of the farmers in the Mellerud municipality run large farms. Many of them have a university college education and a positive attitude towards new technologies. They are open to new business opportunities such as those that wind power generation and the use of organic residual products in order to produce biogas, provide. The expertise amongst small businesses in the municipality is well-developed, above all where different forms of handicrafts with a link to the agricultural sector are concerned. The demand for spaces for industrial and commercial applications in Mellerud is increasing. Along the E45, at the northern approach to the central town of Mellerud, a new shopping centre is being constructed, where there will also be space available for small industrial businesses. The estate will be finalised in 2019. In the municipality, there are several industrial estates where you can still buy land for building industrial premises. There are good possibilities for renting premises for industrial activities, trade, and office space. Industrigruppen is an informal network for the continuous exchange of experiences between the large industrial enterprises in Mellerud’s municipality. The trade and industry foundation of the Dalslands Sparbank constitutes the core of a network of decision makers who are quite influential in terms of the development of local trade and industry. Within the framework of Biogas Brålanda, around 30 visionary agriculturalists work together in a network. Many of them are from the Mellerud municipality. Mellerudsnavet is an economic association in which trade and industry and the municipality cooperate in order to take charge of and develop local trade and industry. Näringslivsrådet is a formal group for cooperation between the local trade and industry and Mellerud’s municipality. This Council provides a place for the exchange of ideas and information. They are also an advisory body where municipal decision making regarding the development of trade and industry is concerned. In Mellerud’s municipality, the focus lies on developing new lakeside housing at the Sunnanå marina, the Vita Sandars camping site, and the Dalsland Golf Resort. They are situated in proximity to golf, boating and leisure fishing facilities and vast natural surroundings. At the same time, the central town of Mellerud, the E45 and railway connections are within convenient reach. There’s a wide selection of housing types, and settings are diverse. There are both new and older residential areas where you can buy a home at a very competitive price. In he towns of Mellerud, Dals Rostock, Åsensbruk, Bränna and Håverud, leasehold apartments are available from both private real estate holders and the municipality’s housing corporation. The E45 and railways provide good connections with Mellerud. It takes 45 minutes to reach the closest national airport, and less than 90 minutes to get to an airport with international departures. Mellerud is a miniature version of Sweden. The Vänern coastline, the agricultural landscape, scales, forests, lakes and streams. In total, the municipality has more than 800 km in lakeside beaches, almost 100 metres per inhabitant. The Vita Sandars camping site, Sunnanå marina and Sunnanå Golf constitute a large recreational area that connects the central town of Mellerud with Vänern. Fishing tourism is extensive and still on the rise. Trolling for salmon and trout in Vänern, outside Mellerud, is amongst Europe’s best. Each year, a quarter of a million people visit the aqueduct in Håverud. In Köpmannebro the Dalsland Canal falls into the beautiful Vänern archipelago. The Kulturbruket in Dal is one of West Sweden’s nicest concert and theatre venues. Here, many of Sweden’s most prominent artists, along with highly proficient local artists and actors render their performances. The Dalsland art museum is one of the Västra Götaland’s region’s four strongholds for the arts. The museum has a good national reputation and annually attracts close to 15,000 visitors from both Sweden and abroad. Åsnebyn is one of Västra Götaland’s three cultural parks.